Oh no! Not Miss Claudette! 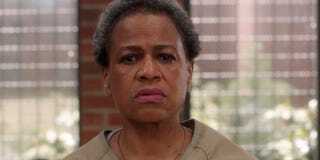 The cast of OITNB has been tweeting about getting Michelle Hurst medical expense help after being in a serious car accident. She was in a medically induced coma for the past two weeks and just recently woke. Doesn't look like there's much other detail, but there is a fundraising account that was just opened here.